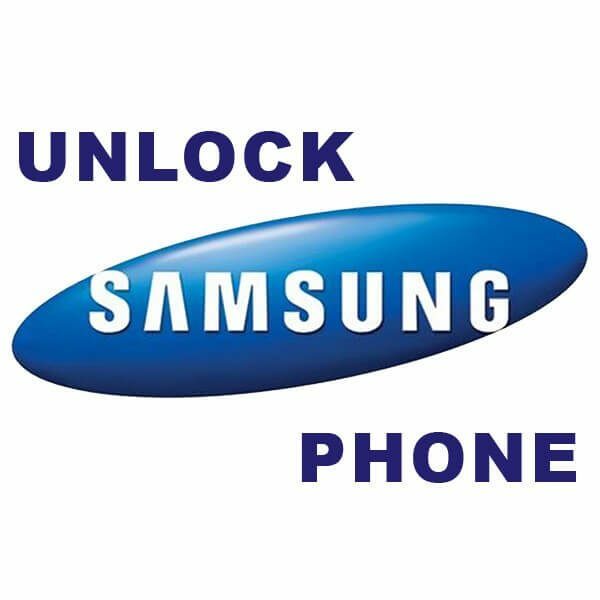 Unlock Samsung Galaxy Phones - O2, Vodafone, EE and Three. If you'd like to use your Samsung Galaxy phone on a different mobile network, you'll most likely need to unlock it first. This free guide helps you to unlock a Samsung Galaxy phone from any mobile netwos in the UK and furather afield. This free guide will show you how to unlock any Samsung phone. You can even unlock the new Samsung Galaxy S10 range. Free Guide — Unlock your Samsung Galaxy Smartphone. If you got your Samsung Galaxy phone in the UK, either from a Pay-Monthly contract, or with a Pay-As-You-Go sim card, it will most likely be locked to that mobile network. Unlocking your Samsung phone, or in fact, unlocking any Android smartphone, is required if you plan on using your phone on a cheaper mobile network, or if when are abroad on holiday and want to save a lot of money by using a local SIM card. When you're finished your contract and want a new phone, you can get it unlocked before passing it on to a member of your family or a friend. If you plan on selling your Samsung Galaxy smartphone, for example on eBay, you will definitely increase the resale value by unlocking it so that it will work on any mobile phone network. In this free guide, we explain the process involved with unlocking a Samsung Galaxy phone. We show you how to tell if your Samsung Galaxy phone is actually locked, where the IMEI number in on your phone and then we'll go into detail about each of the major UK phone networks and give you the best methods of unlocking a Samsung phone on each network. In most cases you'll want to get your phone network to unlock the phone for you, but in cases where they won't, for example if you bought the phone from someone on eBay, we'll show you a simple way to get your Samsung phone unlocked. People often ask why Samsung phones are locked. The simple reason is that if a phone is locked to one network, it is likely that person will stay on that network for the lifetime of that phone, and probably longer because they get seduced by the upgrades. But by unlocking your Samsung Galaxy you can choose to switch networks and save quite a bit of cash. You can also delay your upgrade cycle by 6 or 12 months and move to a SIM only deal. With a Sim Only deal you will pay much less than a standard contract and get exactly the same number of minutes and get the same amount of data. There are 3 reasons why you would want to unlock your Samsung Galaxy Smartphone. You can switch to a cheaper network provided your contract is over. You can use a local sim card while abroad and save on roaming costs. And your phone will be worth more money when you come to sell it because it is unlocked. What is the legal status of unlocking a phone? It is absolutely legal to unlock your smartphone in the UK. Each of the UK networks offer a method of unlocking, although some make you jump through a lot of hoops. There are also some third party companies who have organised deals with the networks so that they can also unlock a Samsung phone without making it difficult. Remember that although we talk about Samsung Galaxy phones, any Android smartphone can be unlocked using these methods. If you want to unlock an iPhone, you can also do that. For some older Samsung Galaxy phones, there are some unofficial options, including free unlock codes, through which you might be able to unlock them. This generally involves installing some unofficial software on your phone. With so much malware and viruses on Android, I would really recommend that you avoid these methods. It might seem like it's a free option but can you imagine having malware on your phone, which could get information about your contacts, your emails and the calls that you've made? It's literally as simple as 1-2-3 to unlock your Samsung phone. Check if it is actually locked, send your IMEI number to DirectUnlocks and then use your phone on whatever network you want. The easiest way to tell if your Samsung Galaxy is locked is to put a different SIM card into it and see what happens. Generally there's 2 things that can happen. It will either show you the new network name or else it will show up an error message, for example "Invalid SIM" The problem with this method though is that some networks "piggy-back" on a major UK network. Typically smaller networks like Giff-Gaff, or Tesco will use a Major network's infrastructure. So a Giff-Gaff sim will normally work on an O2 phone. So that doesn't really tell you if it is locked or not. SIM Cards are cheap now though, so you could order multiple from different networks and check them all. In order to get your Samsung phone unlocked you will need the IMEI number from your phone. The IMEI number is a 15-digit number that starts with 35 for a Samsung Galaxy smartphone. It's unique to your handset and will allow the unlocking company to set the unlock code directly to your phone. Load the Settings application. On your phone, go to Settings > More… > About device > Status. The IMEI number is normally about half-way down the screen. But you know how they like to change the way the apps work. Just scroll through all the lines. Take a careful note of your IMEI number. Another way of getting your IMEI number is by using your phone’s dialling screen. This is the screen that you see when you are entering a phone number when making a call. Dial *#06# (star hash zero six hash). This method has worked on pretty much all mobile phones ever since the old Nokia 3210 days. The IMEI number should show up in a new window. You just need to record the first 15 numbers that are shown (ignore any digits or symbols that are at the end — on some Samsung phones there is a slash (/) and some numbers added to the IMEI number on that screen. Just ignore them and take the first 15 numbers). The cheapest way to unlock your phone is to go direct to the network. Unfortunately though it's also the method which causes the most problems. We have had a lot of feedback from people who have had to wait weeks for Vodafone to unlock their Samsung phone. They also have very strict restrictions over which phones they will unlock. You need to have had a contract with them for at least 6 months but it must also be active. So if your contract has finished, it resets back to 0 and you need to sign up for another 6 months before they will unlock your phone! For the majority of people it is better to use DirectUnlocks because they will unlock your Vodafone Samsung phone no matter how long you have had it. They don't ask if it's in contract or not. They just unlock it. For some O2 customers it can be very easy to unlock their Samsung phone. If you are a Pay Monthly customer, who got their phone from O2, and you are still in your contract, you can normally get your Samsung phone unlocked for free. You do need to provide security information about your account and the IMEI number but after about a week it should be unlocked. If you are a Pay-as-you-go customer, or if you didn't get the Samsung phone from O2, or even if your contract has finished, they are not so helpful. In those cases you will normally find it easier to use DirectUnlocks because they can unlock any Samsung phone on O2 without needing any security information. Unlock a Samsung from EE, Orange or T-Mobile. At the time of writing EE have some pretty stringent rules about unlocking Samsung Galaxy phones. You must have been on a contract with them for a minimum of 6 months. So if you have been passed the phone from someone else, or if you bought it from eBay for example, you will need to either sign up for a contract with EE and pay their bills for 6 months, or else go straight to DirectUnlocks because they don't have the same requirement. What about "Free" Unlock Codes? It used to be that with older Samsung Galaxy phones (Normally the Galaxy S3 and older) it was quite easy to unlock your phone for free. You could "root" your phone then run a special app to generate an unlock code. Just a few years ago this was a reasonably safe thing to do with your phone. But now, it leads to a number of issues. The least of which is that Samsung software, since 2012, regularly checks whether the handset is running an official version of their software and will lock the phone again. Worse than this though is that just like Jail-Breaking on iOS devices, the whole industry behind rooting phones or Jail-breaking, has been taken over by organised criminals who want to install malware on your handset. When you root your phone you are bypassing any security that Samsung has put on your phone and you're effectively allowing apps to have free access to all parts of your phone, including text messages, contact information and maybe even passwords. So it's really not worth it. I would recommend that you pay the small amount to get your Samsung Galaxy phone unlocked properly and keep the official Samsung software on there. Switching to another mobile network is a great way to save money. Mobile networks are a bit like banks in that they love to offer great deals to new customers and they all take their existing customers for granted. If your Samsung phone is unlocked then you will be able to switch network, and normally retain your current phone number, and save money. One thing to keep in mind though is that there are now 3 different sizes of SIM cards. So you will want to make sure that your order the correct size for your Samsung phone. This chart should be able to help you. The 3 sizes of SIM card.